Dentist Day is March 6, and practitioners should participate by increasing their marketing efforts. The day is an excellent opportunity for dentists to find new clients and reward loyal patients for their continued patronage. Doctors can use fun events like promotional giveaways to generate leads who can become regular customers. Practices must find fun items to distribute on Dentist Day. Unique promotional products that help patients take care of their teeth between appointments foster lasting relationships between dentists and their clients. Additionally, custom gifts can help doctors expand their customer bases and increase business. Holding an event on Dentist Day is the perfect way for practitioners to celebrate. Dentists can treat the day as if it were a grand opening ceremony to attract new patients and increase business. A special celebration is an excellent tool for generating interest. 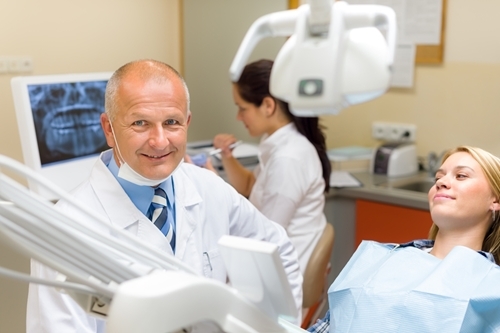 For consumers, dentists should take the broad approach to marketing. Direct mail, print advertisements and cold calling are the best methods for reaching out to local leads. These resources can help doctors find potential clients who share demographic traits with their current patients. Highly targeted marketing prevents dental practices from wasting valuable resources on unlikely leads. Once new patients come in, Dentist Day should be dedicated to maintaining excellent oral hygiene. Doctors should teach their clients how to take care of their pearly whites between appointments to ensure that minor problems do not become long-term medical issues. Promotional pens and note pads should be given to every patient so they can take diligent notes while they learn the basics of dental health like how to properly brush their teeth and floss. Every time people refer to their notes, they’ll be exposed to their dentists’ logos and develop brand recognition. Marketing Zone writes that dentists should create referral programs to generate leads. Doctors should ask their loyal patients for recommendations because consumers trust the opinions of their friends and family members. Excellent service and good manners go a long way toward establishing a solid rapport and earning referrals, but personalized business gifts create additional motivation for people to recommend their dentists to loved ones. Practitioners can scale the incentives based on how many leads a patient generates. For instance, someone who only has the contact information for one potential client can be given a promotional key ring or another small item. People who regularly recommend their dentists to other consumers should be given personalized gifts as rewards. Custom pens, water bottles, coffee mugs and planners are excellent prizes for clients who consistently find leads who become regular patients. Dentists should advertise their incentive programs because patients are more likely to offer referrals if they know they can earn special prizes. Small presents keep clients motivated to participate in the program and earn larger gifts by offering more referrals. Doctors should market their practices as soon as they have the contact information for leads. One of the best strategies for advertising to prospective clients is combining direct mail and promotional items. Dentists can mail gifts like tooth-shaped promotional magnets and wall calendars so their advertisements stand out from bills and personal letters. Phone numbers should be emblazoned on the branded items so potential patients can quickly call to make their first appointments.